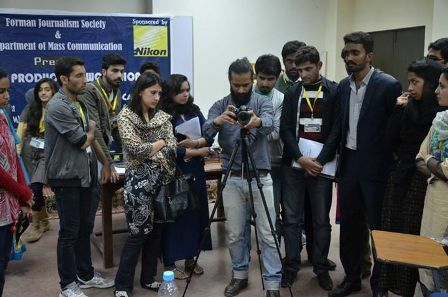 The Forman Journalism Society of the Department of Mass Communication arranged a 2-day Video Production Workshop by Farhan Lashari (Director of Photography and Founder of PLUM), Madiha Abid Ali (Broadcaster, Anchor and Reporter Express News), Farrukh Jawed (Senior VIZ Artist) and Tahir Waqar (Head of NLE at PLUM) on 19 and 20 November 2014 for students of Mass Communication. The event was sponsored by Nikon Pakistan. Day 1 started after a ribbon was cut by chief guest FCC Rector Dr James Tebbe, accompanied by Head of Department Assistant Professor Muhammad Ali, Advisor FJS Ms Faiza Rafique and Co-Advisor Mr Syed M Saqib Saleem. Farhan Lashari’s professional team helped students understand the techniques and practical dimensions of video production. 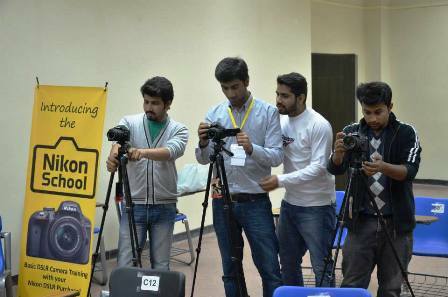 They gave hands-on training to the students about the techniques of Short Film Making, Videography and Editing. Cameras were given to the students for the whole day to shoot around campus and practice, with a view to make either a news report, a short movie or an inspirational videographic message. Day 2 was dedicated to video editing and screening of the projects made by students. Nasir Saeed, CEO Nikon Pakistan and Zubair Qutab, Media and Marketing Manager Nikon Pakistan also attended the closing ceremony. 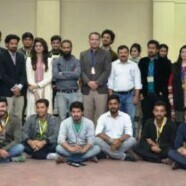 Mr Muhammad Ali and Mr Nasir Saeed presented certificates to the participants and organizers at the end of the screenings.